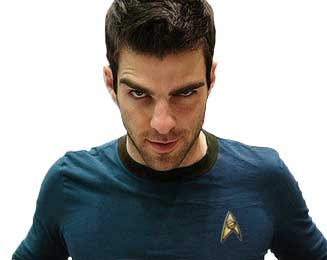 Zachary Quinto recently geeked out (not by choice) when he was forced to play "rock-paper-scissors-lizard-Spock". Although he said he'd never seen The Big Bang Theory (which is where the game has become somewhat wellknown because of one Sheldon Cooper), he seemed to pick it up very quickly after just a few rounds. Now I wish we could see Sheldon Cooper's reaction to seeing Spock play his own game! What did you think of Zachary Quinto playing "rock-paper-scissors-lizard-Spock"??? ?